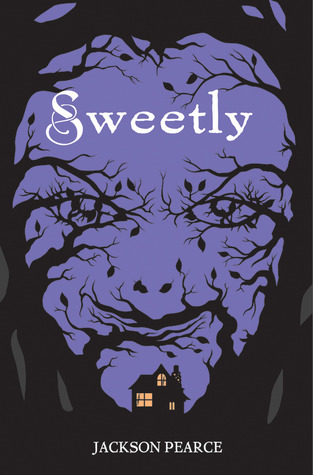 SWEETLY is a modernization of Hansel and Gretel and a companion book to SISTERS RED. Twelve years ago, Gretchen, her twin sister, and her brother went looking for a witch in the forest. They found something. Maybe it was a witch, maybe a monster, they aren't sure—they were running too fast to tell. Either way, Gretchen’s twin sister was never seen again. Years later, after being thrown out of their house, Gretchen and Ansel find themselves in Live Oak, South Carolina, a place on the verge of becoming a ghost town. They move in with Sophia Kelly, a young and beautiful chocolatier owner who opens not only her home, but her heart to Gretchen and Ansel. Yet the witch isn’t gone—it’s here, lurking in the forests of Live Oak, preying on Live Oak girls every year after Sophia Kelly’s infamous chocolate festival. But Gretchen is determined to stop running from witches in the forest, and start fighting back. Alongside Samuel Reynolds, a boy as quick with a gun as he is a sarcastic remark, Gretchen digs deeper into the mystery of not only what the witch is, but how it chooses its victims. Yet the further she investigates, the more she finds herself wondering who the real monster is, and if love can be as deadly as it is beautiful. To save the life of the boy she loves, Jacinda did the unthinkable: She betrayed the most closely-guarded secret of her kind. Now she must return to the protection of her pride knowing she might never see Will again—and worse, that because his mind has been shaded, Will’s memories of that fateful night and why she had to flee are gone. Back home, Jacinda is greeted with hostility and must work to prove her loyalty for both her sake and her family’s. Among the few who will even talk to her are Cassian, the pride’s heir apparent who has always wanted her, and her sister, Tamra, who has been forever changed by a twist of fate. Jacinda knows that she should forget Will and move on—that if he managed to remember and keep his promise to find her, it would only endanger them both. Yet she clings to the hope that someday they will be together again. When the chance arrives to follow her heart, will she risk everything for love? In bestselling author Sophie Jordan’s dramatic follow-up to Firelight, forbidden love burns brighter than ever. Ooo! Sweetly looks interesting. I'll have to look into that one soon. 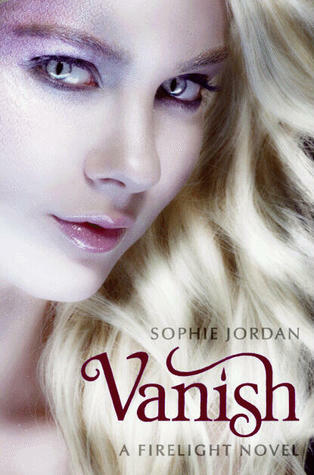 Sweetly sounds so good :) I can't wait to read that one, and Vanish!! So jealous :) I need to get my hands on these! Enjoy! Thanks for introducing me to Sweetly. I love fairy tales retold (my book is Snow White retold) and can't wait to pick this up! Oh Sweetly looks great I'm looking forward to reading it as well. Great haul! PS - Come and check out my IMM if you get a chance! I notice you r reading Blood Red Road!! OMG!!! One ofthe best books of the year!!!!!!!! wooohoo! !